The Little Mouse Santi, written by David Eugene Ray and illustrated by Santiago Germano, is an award-winning children’s book. 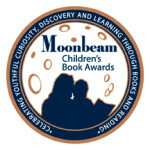 It is a Moonbeam Award winner, a recipient of the prestigious gold Mom’s Choice Award, the coveted Kirkus star and was named one of the Best Books of 2015 by Kirkus Reviews! The little mouse Santi may be small, but he has a big dream! This beautifully illustrated story explores one of the most important aspects of a child’s life, the search for identity. Santi wants to be a cat, and even though all the other mice laugh at him, he follows his dream. The timeless story ends with a whimsical twist: Santi learns a valuable lesson about self-determination and also learns he is not the only dreamer! The Little Mouse Santi is an award-winning children’s book written by David Eugene Ray, a.k.a. Aquarium Dave on Twitter, a native Louisianan who is lucky enough to live in New Orleans, work with animals at the Audubon Nature Institute, and be dad to a boy named Louis, who inspires him every day. The gentle and lovely illustrations in The Little Mouse Santi were created by Santiago Germano of Uruguay. Visit his website at http://www.sgermano.com/. The Little Mouse Santi ISBN 9780692252253 Bookstores and libraries, to stock The Little Mouse Santi, please order through IPG. orders@ipgbook.com – For orders only. frontdesk@ipgbook.com – For inquiries only. Find the little mouse Santi on Facebook!